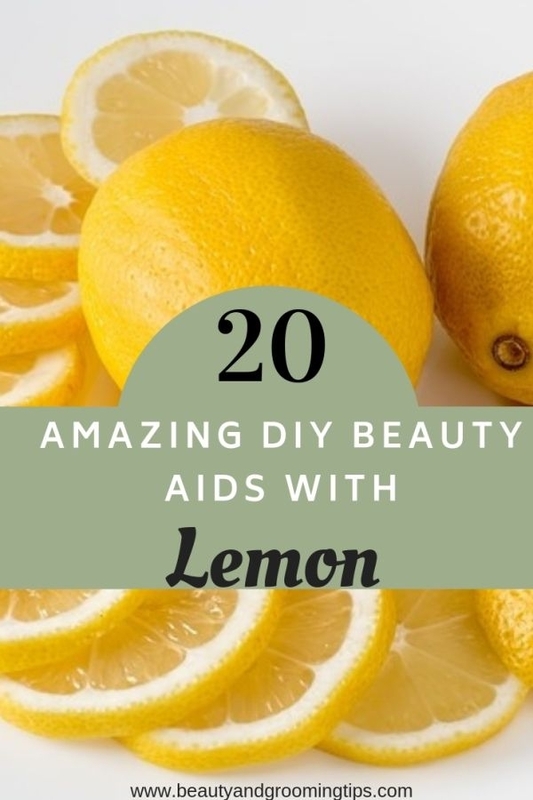 The diminutive lemon is a very versatile beauty-aid and this cheap and golden-coloured fruit has excellent properties for enhancing your looks. Simple lemon-based preparations, you can mix in your own kitchen, will surely bring a dramatic transformation in your beauty regimen. Lemon contains enzymes which help to cleanse the skin of dead cells. Sprinkling a little alum on a lemon half and rubbing the mixture on your face helps tremendously to refresh and tone the skin. It also acts as a quick pick-me-up after a long pollution filled day. Mash an over-ripe banana and mix it with a few drops of fresh lemon juice. Apply on face and hands to keep the skin clear and smooth. Mix a teaspoon of honey with a teaspoon of vegetable oil and one fourth of a teaspoon of lemon juice. Rub this into the hands, elbows, heels and any area that feels dry. Leave on for 10 minutes. Rinse with water. Mix 3 tsp lemon juice, 2 tsp honey, ½ tsp cabbage (boiled and crushed) paste. Mix to a paste all these ingredients in a dish and apply it on face and neck; wash off with cold water after 10 minutes and admire the new “you”! To remove freckles, blanch and grind almonds and mix with white of an egg to which half tsp of lime juice has been added. Spread on the face and wash after 20 minutes. Mix ½ tsp turmeric powder, 2 tsp lemon juice, 3 tsp papaya pulp to a smooth paste. Apply evenly over the face (keeping away from the eyes). Leave the pack on for 20 minutes and then wash it off. Rubbing half a lemon with table salt and a pinch of baking soda on the teeth not only makes them white, shiny and bright but will also cure bad breath. Rub lemon halves and then wash off with water. Over a period of time, it will cleanse the skin and lighten its color. Mix lemon juice with four tablespoons of coconut milk and apply once a week. *Beat lemon juice in castor oil until frothy and add henna powder to it before applying it on your hair. Wash off after it dries or keep it overnight. *Massaging few drops of lime juice with ‘amla’ juice every night before going to bed, stops falling of hair, promotes hair growth and prevents premature graying. Take an egg white and mix it with the juice of a lemon. Apply this to the hair roots and rub it in. Wash it off after an hour. Repeat for a month. Add lemon juice to a mug of water and use it as a last rinse, after your shampoo. Or boil used tea leaves in enough water and cool the liquid. Add the juice of a lemon and use it as a last rinse. This helps add shine to the hair. Mix 6 tsp of lemon juice, 2 tsp of honey and 2 tsp of rose water in a glass bottle and shake it vigorously before use. This scalp tonic can be preserved for a month if kept in a cool dark place. Massage this tonic with fingertips into the scalp and take head bath after half an hour. Mix a teaspoon each of cream, lemon juice and honey and rub it on your lips. Use for a week to see results. Mix a teaspoon of honey, a few drops of fresh lemon juice and a drop of sweet almond oil. Apply this on the face and allow it to dry for 20 minutes and wash off. Mix cold milk and fresh lemon juice with powdered almonds or powdered orange peel or oatmeal. Rub the skin gently with this mix. Mix a tablespoon of honey with two tablespoons of finely ground almonds and half a teaspoon of lemon juice. Rub this gently on the face. Rinse off with warm water. Mix equal proportions of tomato juice, lemon juice and milk and apply on face and body. The juice of a fresh pear and apple with a few drops of fresh lemon juice acts as a good skin tonic. A fresh lime may be squeezed into a cup of milk to which a teaspoon of glycerin may be added. Stir well. Apply it on your face, neck, hands, legs and feet, an hour before retiring to bed. Keep it on for half an hour and then wash off. This application every night will make the skin look younger and beautiful. This application works well on pimples and scars, is good for cracked soles and palms, dryness of face and hands, and sun-burn. Turmeric when combined with lemon and starch, acts as an effective cleanser and also forms a barrier between the drying effect of chlorinated water and body skin. The following is an excellent body pack.Mix 8 tsp of yoghurt (curds), 3 tsp. Lemon juice, 5 tsp starch (rice), 1 tsp of turmeric &1 tsp of any vegetable oil. Apply this body pack with firm, upward movements. Wash off after 10 minutes and take a bath. This is perhaps one of the oldest skin rejuvenation therapies. Use this at least thrice a week for a satiny skin. You will agree that your hands are on show just as much as your face. Pamper your hands with this simple & inexpensive lotion. Mix 3 tsp lemon juice, 6 tsp honey and 8 tsp almond oil in a dish. Massage well into hands for 10 to 12 minutes. Wash with a mixture of equal portions of vinegar and water. Preserve this lotion in a bottle for use on your hands. This lotion keeps well for 2 weeks. You should make it a habit to start the day with lemon juice. Sip the juice of a lemon in a glass of warm water, sweetened with 1 tsp of honey. It will clear your entire system and relieve constipation. This sour fruit's glucose and mineral content also helps replace loss of the body's fluids through sweat, especially during the summer months. It stimulates blood circulation, reduces arterial pressure, and activates bile and intestinal secretions. Check out this comprehensive list of home remedies with lemon. I love lemons and i never thought that it can help us to be beautiful. I am every happy about your post because you are explaining steps to do it for every body part. You really deserve to be featured on magazine. Thanks for dropping by, Beauty Items. Glad to know that you liked this post. Oh thanks for the heads up! Now I know an easier and cheaper method . lemon will bleach. Hair or skin. Lemon helps us in a lot of ways..for example the best dandruff home remefy using household products is curd and lemon paste. For this, take some quantity of curd (depending on the scalp) and add lemon juice (half or one lemon depending on the length of your hair) to it. Lemon is a very good cleanser for oily skin due to its acidic contents. Simply soak a cotton ball with fresh lemon juice and gently rub your facial skin avoiding eye contact. For better skin care, repeat the procedure and rinse with cold water. This makes the skin soft and smooth. Lemon Juice is an natural acidic cleaner. It's best used for copper-bottomed pots or fixtures, counter top stains, and it's a great bleach alternative -- place on white linens or clothing and let them dry in the sun to bleach away stains. Lemons can be rubbed directly onto skin and left for about 2 hours before rinsing. This is good to reduce wrinkles and treat blemishes. The treatment will work better if followed by olive oil after rinsing. It works by speeding up skin renewal and uncovering a fresh new layer of skin. However, it is important not to do this before going out in the sun as it will have a bleaching effect. Squeeze some lemon juice into warm water and drink it. It helps by cleansing your body of toxins. Do NOT brush your teeth with lemons. It only whitens them because it wears away the calcium, which is generally yellowish and a darker color. Calcium is important to healthy teeth! If life throws you lemons, just floss instead. Make sure you don’t use the lemon for eye treatments, unless you are trying to fake pink eye or you like pain. Lemon is good for energizing, and invigorating the skin, and also serves as an awesome detoxifier and cleanser. it has natural antiseptic effects and smells great! lemon peel essential oil has the ability to stimulate the white corpuscles in the blood, which defends the body and fights infection. It is also used to balance the pH of the skin, by counteracting acidity on its surface and acts as a very mild natural bleach or lightener on the skin, which enables it to brighten dull skin color and calm redness, as well as the irritation of an inflamed skin. Great post, and great responses. Who would have guessed so much could be written about lemons? Great article though. Very nicely done. After my 1st 8 months I have noticed good results, I was hesitating at first but now have confidence in the herbal shampooing treatment. In as little as 3 months I noticed a solid improvement and it’s continued to progress since. I have just signed up to another 12 months because of this because DHT causes hair follicles to shrink and close up. You have a fantastic Blog . Keep up the hard work!! The pulp of a tomato applied liberally on the face helps to attain a clear and good complexion. The application of one tablespoon of tomato juice and few drops of lime juice to your face is very effective for shrinking enlarged pores. Cut a lime into two, then rub each halves to your knees. You can do it anytime, before taking a shower or even if you are watching TV, but do not forget to rinse it if you do not want a dry skin. Lemon Facial-Fill a large bowl or pan with warm water, the juice of half a lemon and a handful of rose petals (they soften dry skin), mint leaves (an oily skin toner), rosemary (to keep normal skin balanced) or chamomile (to calm sensitive skin). Place your face over the bowl (or pan) and absorb the lemon steam for 10 minutes (It’s very deep-cleaning). Rinse with cool water. The juice squeezed from 1/2 a fresh lemon in water first thing every morning is the best detox on the market. Better than any of these expensive cleanses they're selling. It will help with so many things that it's too long to list, including vision. I've used reconstituted lemon juice when I've been in a pinch as well. Lemon juice applied directly on acne has helped me immensely! Also, drinking lemon in your water should help cleanse your body, which will ultimately help your face clear up. The natural way to get rid of dark spots on skin is to rub lemon juice on the dark area. Natural way to help get rid of clothing stains is to apply lemon juice to the stain and let it saturate to the fabric. Natural way to lighten dark elbows and knees is to apply lemon juice while scrubbing it. leave it on for 30 mins. A good astringent is lemon juice and witch hazel for the face.You can also apply it to your body in the shower for a fresher feel.it's also used to spray on hair to make it lighter but takes a long time (at least the time I used it) and I think it strips your hair. Lemon and limes have high acidic content. It is this acid that exfoliates the top layer of skin, increases cell turnover, and over time helps to fade pigmentation and freckles. Lemon juice can brighten and refresh your hair, removing product build-up. Mix 1 part of lemon juice with with 4 parts water, the nrinse hair with it. Finally, rinse with clean clear water. Lemon is available in supermarkets and cheaper than branded special shampoos. I've used lemon with powdered whey as a face mask for about a week. I have problem with red spots after pimples. I've let mask on face for about 30 minutes. After washed up the mask, red spots were smaller and less noticeable. Cheap, tightens pores, great because I have oily skin and blackheads to match - keeps these under control. Knowledge about your own body and combine with the power of natural remedies are the best way to clear acne and scar. Rub lemon on your face and let it dry before putting the aloe vera. Let it overnight. I use lemons and lemon juice a lot. The juice is even great for helping to clear up a bout of blackheads! I love lemons, wonderful ideas to fall in love with them even more!! I use lemon juice and organic sugar. I squeeze a few drops of lemon juice onto a cotton ball and add a teaspoon of sugar. I've been using it for 3 days and i can see my big zit on my nose shrinking. By the end of this week, it'd probably be gone. Lemon can help with redness, acne, blackheads, whiteheads, skin discoloration, etc. It's really a life saver. Blonde deserve the best beauty salons, add lemon juice with 4:01 cup water 3.4 cup mixture and rinse hair. Then sit in the sun to dry hair. Lemon juice is a natural bleach. Do not forget to bring plenty of sunscreen before sitting in the sun. Maximize the effect of daily repeated for a week. Lemon and Opiates are Great. mix for facial cleanser!It is exfoliating, moisturizing, light lemon scent, natural ingredients. if you use lemon juice mask twice/day and after 2-3 weeks your acne is gone! This is pure myth! Applyin lemon juice twice a day for 2-3 weeks can ruin ur skin...!!! 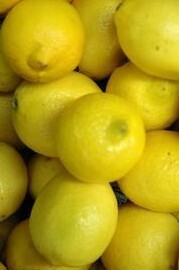 Lemon contains natural bleeching agents . Its wise not to use it more than twice a week.. also again depending on the sensitivity of your skin.Drinking lemon juice on the other hand is a much better way offlushing toxics out of your body and getting a healthy glow. If you have sensitive skin, don't apply lemon on your face, it could sting! Even if you don't, remember that lemon is acidic, so keep it away from your eyes at all times. Citruses like oranges, lemons, and limes are rich in Vitamin C which is a natural bleaching agent. Of all citrus fruits, however, lemon is considered as one of the most effective home remedies for facial dark spots, especially for freckles and age spots. Simply apply some lemon juice directly on the spot, either with your hands or using a dab of cotton. The citric acid in the juice would work to bleach the spot and clarify your skin. Before bed, apply straight, fresh lemon juice to your face with a clean makeup brush. Leave the juice on your skin for five minutes. Rinse. Temporary redness, caused by the citric acid, is normal.For a morning toner, combine 10 drops of lemon juice with one half cup of water. Saturate a cotton ball with mixture and dab over clean skin. Do not rinse. Lemon juice is one of the best skin lighteners for dark skin, that helps to recover a flawless complexion. Use it with rose water to get beautiful skin and fair complexion. And the best part is that there is no need to lie down and keep waiting for your face mask to dry away. You can just apply and resume your daily routine. WORKS GREAT IF YOU NOTICE YOUR ELBOW OR KNEES ARE LOOKING A LITTLE DARK. JUST CUT LEMON IN HALF AND RUB IT ON THE DARK SPOTS. Lemon and Honey combined can make you fairer, but only over a long period of time. However, the results are not that drastic compared to prescriptions made to make the skin lighter. Remember that usually you can't become much lighter than your original skin colour. So the lemon/honey combination might "brighten" your face but it won't exactly "whiten" it. Whiten fingernails. Rub a wedge on the surface of your nails. Sugar is abrasive and lemon is a cleanser. Just a touch of lemon to keep the mixture rough. Scrub and rinse thoroughly. Apply moisturizer. Cleanse this way once or twice a week and you will see a difference after two weeks. Lemon juice lightens your hair by working with the sun or UV rays. It will not work with a blow dryer. While the sun will lighten hair to a point on its own, the process is slow. The acid in lemon juice hurries the process along. Rubbing your hands with lemon juice will help in removing bad smells from your hands. If you want to lighten your hair, then dampen it with lemon juice . Sit out in the sun for an hour or so and see the difference. You can also mix lemon juice with one cup warm water. This makes great hair conditioner. Brighten the Skin---To the skin without bright or dull gray color, please follow the hard way below. Use 3 to 4 lemon squeezed from the container in a wooden bowl. Add a few drops of warm water into the bowl. Next use a cotton wood, waterproofing solution to surface and to about 30 minutes, then wash.
Several times a day should be effective to achieve quickly. Also you can add the juice of the lemons to your body wash to help brighten your skin! Just remember lemon +sun=BAD!! So use the lemon products AT NIGHT. In a lemon contains enzymes capable of cleaning dead skin and skin bleaching. Therefore, you are not necessarily used to regular milk cleanser, but instead use lemon to “create” milk cleanser. Get a little alum, with the drop in the squeezed lemon half. Wait until alum dissolve, use cotton wood to absorbent solution to the skin surface. About 20 minutes then wash again with warm water. With this method,it will help the pores are more airy, no accumulation of dust or mucus, the agent causing acne. Bring 1 cup of milk, 2 tsp. lemon juice and 1 Tbs. brandy to a boil. When the mixture’s down to warm, smooth over face, neck and décolletage with a pastry brush. Once dry, rinse with warm water. Well lemons are known to have bleaching properties. What you do is shave your armpits and then like a few days later get a lemon slice and rub it onto your armpits and leave it in, don't rinse it out! Keep doing that a few times a day for 3-4 days, then don't do it one day, and then shave the day after. Do that cycle until your skin starts lightening back to its normal tone. lemon juice as a skin lightener is a tried and true method of lightening your skin and getting rid of freckles. Use lemon daily on skin, hair and nails to look younger, fresher and clearer. I love using curd - mixed with a bit of lemon... or just plain honey as well! A really fresh, hydrated and supple skin is revealed. It brightens the complexion in an instant, controls oil production and removes the dead skin cells. Lemons are able to make skin lighter since the acids in them break down the partially dead skin in the tan you have. But I have heard lemons make your skin pretty dry. There are many ways to lighten your skin. One popular way to do it is to rub lemon slices on your skin in the morning before your shower, but also making a flour and milk concoction and rubbing it on your skin can help too, but it's gradual. Bleaching cream will give you the best results, but it's more dangerous. Lemons protect your heart, control your blood pressure and is excellent for the skin and hair. Works as a bleach for the skin. Lemon juice mixed with warm water and honey can be taken daily the first thing in the morning to have a clear complexion. It can be taken for weight reduction also. Lemon juice, rubbed over the skin with a cotton pad daily will help lighten it. Otherwise, the most effective thing will be a product that contains hydrogen peroxide (bleaching agent). Lemon makes your skin look much better I have tried it. Thanks for good ideas. Pretty interesting tips you got here, I've been using Honey + Lemon facial mask to for skin rehydration, but never have I added cabbage in it.. will try it over the weekends. Isn't it amazing how we can work around with honey as a beauty regiment? :) Thanks for sharing. This is really a nice site . I liked it . I also liked your writing. Hi There, I just spent a little time reading through your posts, which I found entirely by mistake whilst researching one of my projects. Please continue to write more because it’s unusual that someone has something interesting to say about this. Will be waiting for more! H Rashmi, thanks for the kind words about my blog! I'll do a post on dark underarm patches soon. Hi swathi, sorry for the delay in responding. If you are allergic to lemon, don't use it Thee are plenty of other home-remedies. Check them out from these pages for acne,oily skin, this post etc. Indeed, natural treatment are proven to be effective in delivering clear and smooth skin. Thanks for the useful tips. I want to try lemon for the skin. I hate when dirt gets so imbeded inot the skin causing inflamations. I wash and scrub but this might help as well. Looking forward to this and will try tonight.